I made a tote bag for my mom for mother's day. I wanted to make one that she could use for work so I knew it would need to have lots of pockets - outside pockets for water bottles and other frequently accessed items and then inside pockets for her iphone, pens, keys, wallet, etc. The fabrics I chose were the same ones I used on this duffel bag. I love the way these fabrics work together and I just happened to have enough left for this project. 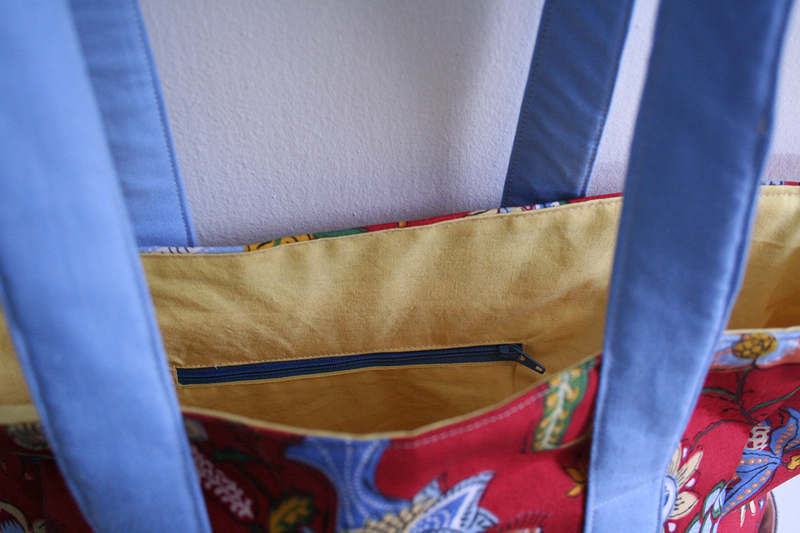 I used the Easy DIY pocket tote tutorial from Flamingo Toes with a couple modifications. 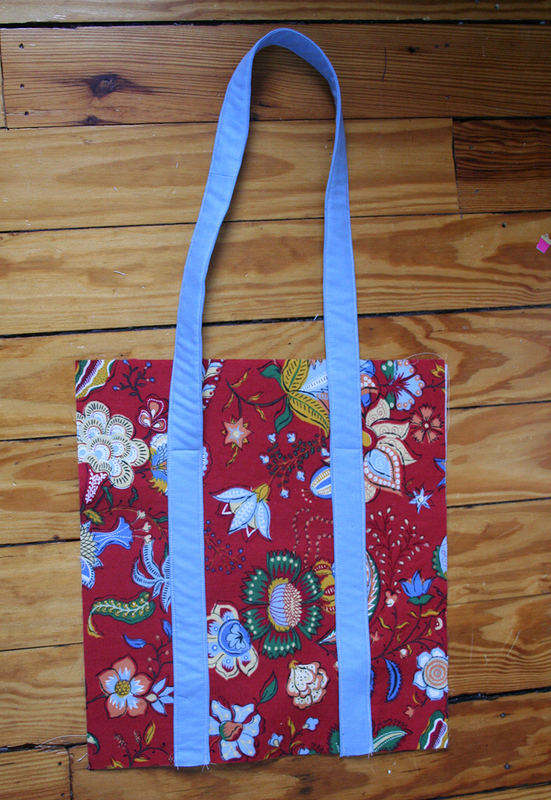 For the interfacing I used fusible fleece on the outer pieces to give the bag more body. 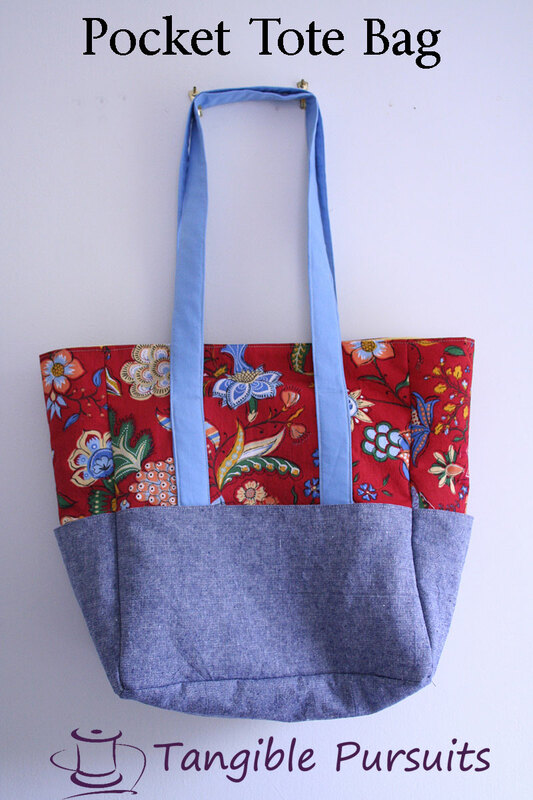 Second, I wanted it to look more like a traditional tote bag, so I put long handles on the main purse pieces before sewing the bag together. I sewed the handles onto the main piece, stopping a few inches before the top edge. Finally, I added extra pockets to the inside. On one side I put a zipper pocket. 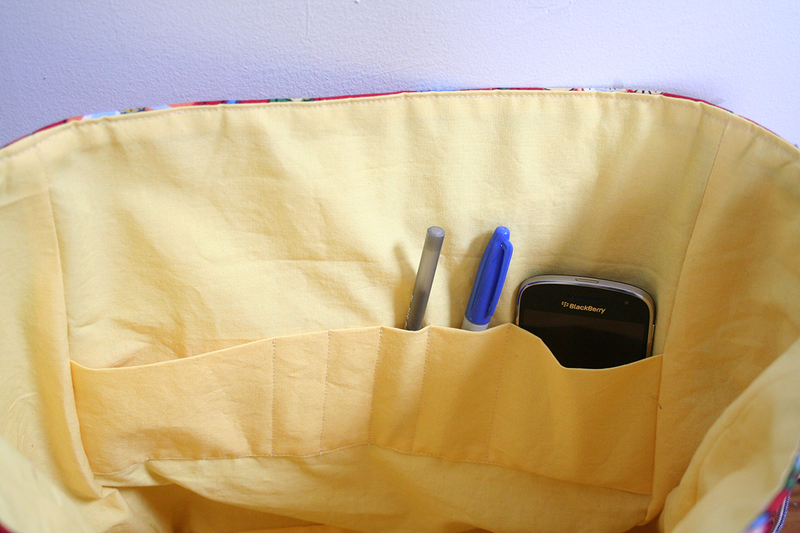 On the other side I put a patch pocket the width of the side that I divided up into compartments for pens and a phone. 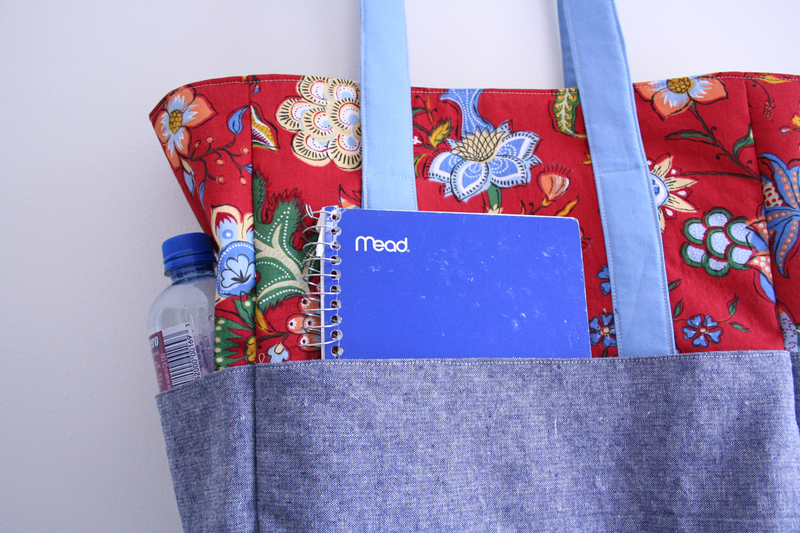 The result was a very functional tote with a space for everything. Thanks, I love it! It's perfect for taking my "stuff" back and for to work. I especially like the inside pockets ..... and it's pretty! Thanks! I may need to make one for myself as well. My current work bag is getting a little worn. Gorgeous bag! Love the pratical pockects! Thanks for sharing! Great bag! It looks incredibly functional. Nothing better than cute & functional! Thanks for linking up with Tuesday Sews at PiePie Designs!